Breast cancer bags are a great way to show your support of breast cancer awareness wherever you go. With it's black trim and pink ribbon emblem, this tote bag is a great addition to any awareness walk gear. This Striped Canvas Tote Bag is a substantial 100% cotton natural canvas tote bag with a front pocket, measuring 22" x 16" x 6". 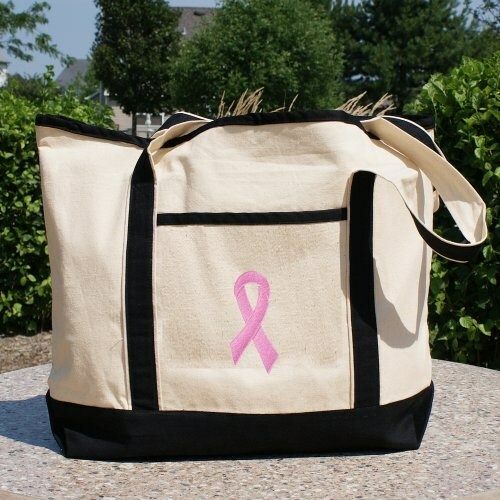 The breast cancer awareness tote bag is made especially strong to hold all your items.